ORIENT PUBLICATION: AJAY SETHI, CHANNEL2 CHAIRMAN, ACHIEVED A FRANCHISEE OWNERSHIP OF PORT ELIZABETH AT T20 GLOBAL DESTINATION LEAGUE! AJAY SETHI, CHANNEL2 CHAIRMAN, ACHIEVED A FRANCHISEE OWNERSHIP OF PORT ELIZABETH AT T20 GLOBAL DESTINATION LEAGUE! Monday, 19 June 2017 - Mr. Ajay Sethi, Chairman of Channel2 won the franchise ownership at T20 Global League.Nelson Mandela Bay and St George’s Park will play host to him, as he will base his team at the iconic stadium. Mr. Sethi, a noted visionary realized that the amalgamation of cricket and Bollywood has proved to be a success and has now achieved a big leap in the era of SPORTAINMENT with the ownership. Thus the Chairman of Channel2 with the ability to think ahead of the game won the bet and accredited Port Elizabeth in arena. A Broadcast pioneer with the first Hindi terrestrial channel outside India, Mr.Sethi has dedicatedly pursued his passionate interest in sports by launching the first ever Radio over the internet – Cricket Radio a Revolution in the field. His obsession with sports also extends to other sports like Football, Tennis, and Golf. All successful eight franchise owners of T20 Global League were officially announced by Cricket South Africa (CSA) at a well-attended industry launch event at London’s most prestigious hotel, The Bvlgari, London. The event set the tone for a new standard in T20 cricket. The sporting event- Cricket South Africa T20 Global Destination League will be a 45 day citywide festival centered on Cricket, Fun & Entertainment. The official eight team owners also includes Shah Rukh Khan’s Kolkata Knight Riders which will own a team in South Africa’s Global T-20 League. Delhi Daredvils franchisee GMR Sports are also the owners of the Johannesburg team. 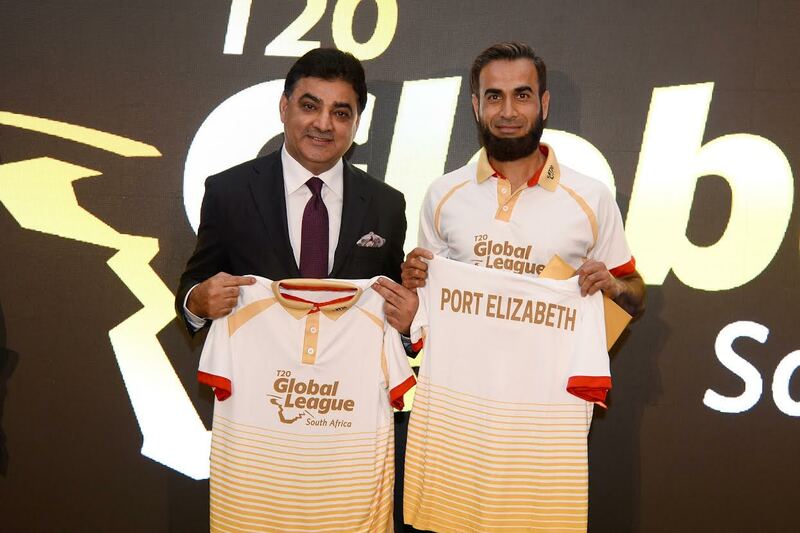 Commenting on the occasion - Ajay Sethi, Team Owner, Port Elizabeth, T20 Global League said that "Port Elizabeth is a beautiful city revolving around the ocean and is deeply entrenched with interesting cricketing history. I am very pleased and proud to represent this city as my franchisee team. In the coming weeks we look forward to working very closely with the Mayor and City Council and put together a robust plan of action aimed to create value for both the city and the team. In addition, I would like to extend my thanks to CSA for accepting our bid and giving us an opportunity to become a part of this exciting T20 Global League journey. This tournament is about the fans, the players, rekindling the magic and reviving the battles, between bat and ball, between heart and mind, showing the world what makes this game extraordinary. Today is a momentous occasion and it is for us to seize the moment and come together to witness the most beautiful carnival of global cricket in South Africa." The player draft is scheduled for 19th August, with almost 400 players from 10 countries confirming their interest.